Building and opening a new airport is no easy task—that goes without saying. As it turns out, closing one may not be any easier. Just ask the folks in St. Clair, MO. 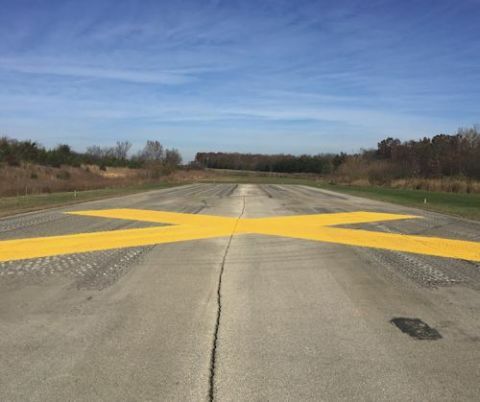 After a decade of convening meetings, cutting through reams of red tape and jumping through an obstacle course of bureaucratic hoops, city leaders were finally given the go-ahead to paint Xs on the airport’s 3,200-foot runway and close up shop on Nov. 17. While the question may have been simple, the response was anything but. FAA personnel indicated that the agency was “not in the business of closing airports,” and city officials began a long and circuitous process. “It became obvious that we were going to need some assistance,” Dierker recalls. Duration of Process: About 10 yrs. After opening in 1964, St. Clair Regional (K39)flourished as a general aviation airport, he explains. For a while there was enough traffic from local businesspeople to support a fixed-base operator, and at one point in the 1980s, the facility boasted over 20 hangars. Over the years, the city received a variety of federal and state grants to maintain and improve the airport infrastructure. In 2002, for instance, it used FAA grant monies to purchase an additional eight acres of land, which increased the property size to 79 acres. A few years later, the city received Missouri highway and block grants to lengthen its 2,600-foot runway to 3,200 feet. But all was not well at the airport. Over time, the public showed less and less interest in the airfield. Eventually, the fixed-base operator left and hangars fell into disrepair. In the late 1990s, it began costing the city $30,000 to $50,000 a year to maintain the airport, notes Dierker. In 2006, Mayor Ron Blum ran for office, largely on a platform of exploring ways to improve the local economy. The airport was one of the most prominent assets he pledged to investigate. In 2009, a city report concluded that the airport was costing taxpayers too much money while benefiting only a handful of residents. As a result, preliminary steps were taken to repurpose the city asset. The airport’s location—at the heavily trafficked intersection of Missouri Highway 47 and Interstate 44, with the famed old Route 66 running alongside the property—makes the land valuable for retail and other development that could expand the local tax base. In 2009, the city’s board of aldermen approved a measure to include the airport land in a Tax Increment Financing District. This public financing method allows municipalities to use future gains in taxes to finance current improvements, which theoretically will create the conditions for those future gains. Local officials felt that closing St. Clair Regional would not inconvenience the public because there are four other general aviation airports in the area, two of which are only a 30-minute drive away. In late 2010, the city hired QED Airport and Aviation Consultants to research the situation and lead the way toward closing its airport. Moreover, nearby airports offer fuel, fixed-base operator facilities and key services not available at St. Clair Regional. QED’s research validated the city officials’ position and concluded that closing the airport would present “a net benefit to civil aviation and would be in the best interests of the U.S. Civil Aviation System—a key factor that must be demonstrated for closure to be granted,” notes Price. He outlined the firm’s findings in a comprehensive document that was sent to the Missouri Department of Transportation (MODOT) and the FAA Central Region. The Central Region office referred the matter to FAA headquarters in Washington, D.C. In March 2012, city officials, Price, Missouri Congressman Blaine Luetkemeyer and a representative from Senator Clair McCaskill’s office met with FAA’s Associate Administrator for Airports and the head of FAA’s Compliance Division for Airports. Price describes the posture of the FAA representatives as rather curt. “They asked, ‘Why are you here; didn’t you read your grant obligations? Why are we having this meeting?’ They would not make a decision,” he recalls. The airport’s grant obligations proved to be a particular sticking point. Even though the city had refused all FAA grants since 2006, earlier grants for capital improvements obligated the airport for 20 years after receiving the associated funds. Moreover, a 2002 grant to purchase additional land obligated the airport for perpetuity because land does not depreciate. “Perpetuity is a long way out,” Price quips. In 2012, Senators McCaskill and Blount helped get a closure proposal attached to the more encompassing federal transportation bill. But the larger bill died later the same year. In March 2013, MODOT wrote a letter stating that it did not oppose the closure provided it was consistent with FAA closure requirements. Nevertheless, the FAA would not make a decision. “Primarily, I think they did not wish to open Pandora’s Box whereby they might have other airports making a similar request,” Price remarks. At that point, the city worked with Senators McCaskill and Blount, as well as Congressman Luetkemeyer, to draft a standalone bill for closure. Senate Bill 2759 was filed in July 2014, and was passed unanimously by the Senate and House in early December. President Obama signed Public Law 113-285 on Dec. 18, 2014, to permit closure of the airport. Done deal, one might think. Get out the spray paint to mark Xs on the runway. In the end, it took nearly three more years to close the airport. In May 2015, city officials and Price held a conference call with FAA to identify the specific steps needed for final closure. An official document had to be updated to show the owners of the property, property boundaries and how the property would be transferred. The airport land had to be appraised, and the city and MODOT had to agree on items that would be salvaged and subsequently transferred to the state agency’s possession. Details on how the closing would occur and how much money would be reimbursed to MODOT, which administers FAA grant funds for distribution among the state’s general aviation airports, were also determined. As another part of the closure process, the airport land had to meet requirements outlined in the National Environmental Policy Act of 1969. An environmental assessment was completed in 2015/2016 to evaluate the property for wetlands, artifacts, endangered species, hazardous waste, etc. ; and the FAA subsequently issued a finding of no significant environmental impact. 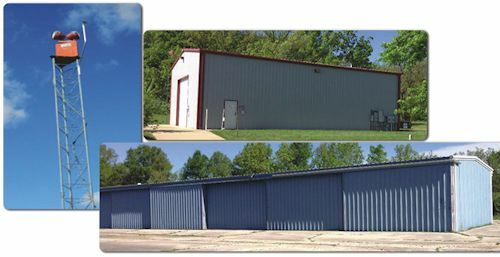 Although the city used grant money to purchase eight acres of land in 2002, the FAA required the city to reimburse MODOT for the appraised value of all 79 acres of airport property. The FAA calculated the unamortized value of the outstanding grants, some of which had expired after 20 years and no longer had to be repaid. The city also had to return all the money it held in its airport accounts. After closing and other costs were deducted from the total, the city reimbursed about $540,000 to MODOT. Price also cites results from a 2011 FAA study that analyzed the nearly 3,000 general aviation airports, heliports and seaplane bases in its National Plan of Integrated Airport Systems (NPIAS). The study, General Aviation Airports: A National Asset, identified close to 500 airports that didn’t have any substantial reason to be in the system, Price informs. The agency’s 2014 follow-up study titled Asset 2: In-Depth Review of the 497 Unclassified Airports narrowed the number of airports with “no clearly defined federal role” down to 281. That group included 227 publicly owned airports with little-to-no activity, 19 privately owned relievers that do not meet minimum activity levels for continued designation as relievers and 35 airports that do not meet the statutory requirements for inclusion in the NPIAS because they are privately owned general aviation airports. While the larger jury may still be out regarding the future of other general aviation airports, St. Clair city officials are celebrating the closure of their once-prosperous facility.